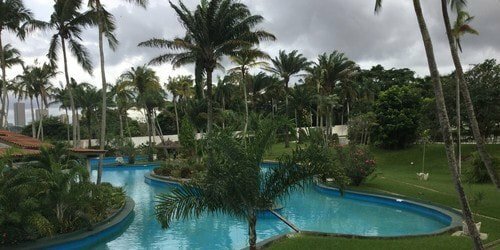 At the foot of the majestic towers of the Hotel Ivoire Sofitel, lined with an ocean of greenery and an impressive swimming pool, is the Casino. Take the time to admire the building, inside, the show is just as fascinating. Dizzy ceiling height, imposing chandeliers and gigantic portraits of the elephant, emblem of the place. Dark parquet, rug with tribal motifs and sublime contemporary lanterns. Slot machines and game tables are brought together in the same space, a subdued box of the most delicate. Next door, the bar and the restaurant, with a terrace overlooking the lagoon, offer a sweet moment of serenity. As you wish, let the charm of the Barrière Casino The Golden Elephant - Abidjan captivates you.